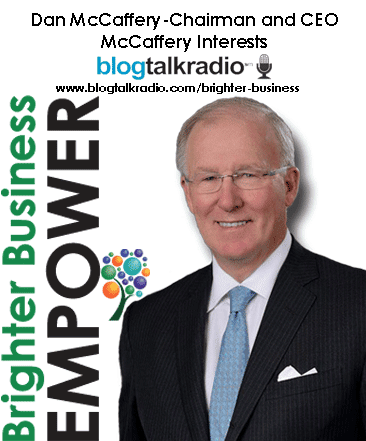 We had the honour of interviewing Dan McCaffery, Chairman and CEO, McCaffery Interests. Daniel McCaffery is responsible for leading the vision, strategic direction, new business creation and enhancement for all aspects of the firm. Mr. McCaffery has thirty years of experience in the real estate industry and has led the development of more than $2 billion of urban mixed-use projects. Before forming McCaffery Interests, Dan worked in Canada and the US with Oxford Properties and BCE Development (now Brookfield), one of the largest and most successful Canadian real estate companies, where he was Senior Vice President responsible for its Midwest and Mountain Operations. Dan has been very active with the Urban Land Institute and International Council of Shopping Centers, where he is a sought after speaker and participant on panels and award juries. 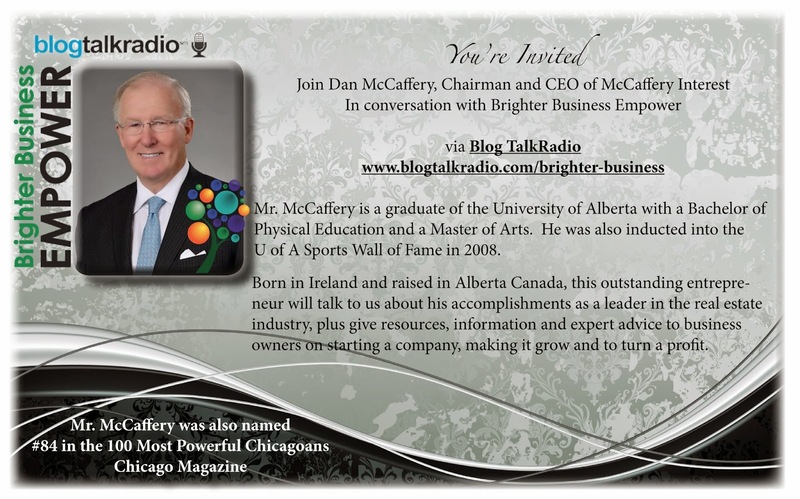 Mr. McCaffery was educated in Ireland and Canada and earned a Bachelor of Physical Education and a Master of Arts from the University of Alberta. Mr. McCaffery was also named #84 in the 100 Most Powerful Chicagoans for 2014 in Chicago Magazine. 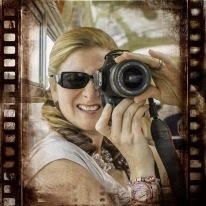 Have a listen in to our show. GREAT conversation. What I took away from Dan was to stay connected to the people around you. But stay connected in a way that shows respect. Pick up the phone and call them. Send a hand written note. The golden nugget in this interview... The Key To Business Success... "Building Relationships". Have a listen below! For more FREE Business Resources - get a copy of Brighter Business Empower Magazine HERE.